Smoke gets in your eyes 4! Pedro Noda, my old fishing buddy from Viñales,Cuba enjoying the last fragment of his home-made cigar. 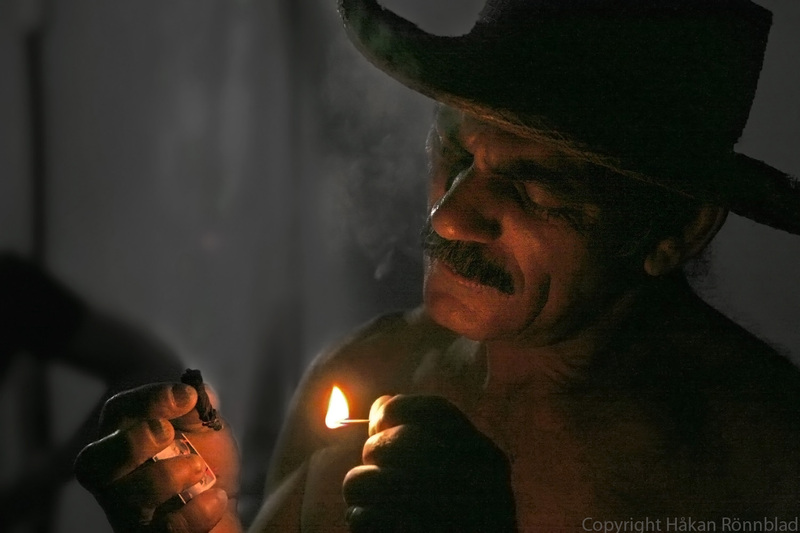 This entry was posted in Cuba, photography and tagged cigar, cigar smoker, Cuba, fishing buddy, Kuba, Kuba bilder, night life, Noda clan, Pedro Noda, Pinar del Rio, portraits, smoke gets in your eyes, Viñales. Bookmark the permalink. Smoke gets in your eyes 3!